Home / All TV Shows / Pan de Peace! When will be Pan de Peace! next episode air date? 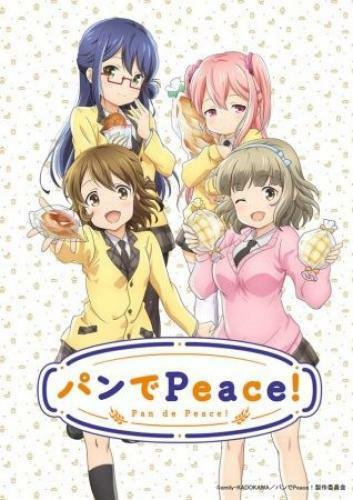 Is Pan de Peace! renewed or cancelled? Where to countdown Pan de Peace! air dates? Is Pan de Peace! worth watching? Minami is an airheaded girl who is starting high school and who loves eating bread for breakfast. Baked goods bring happiness everyday to her and her classmates — the reliable Yuu, the pastry-baking Fuyumi, and the independent Noa. Pan de Peace! next episode air date provides TVMaze for you. EpisoDate.com is your TV show guide to Countdown Pan de Peace! Episode Air Dates and to stay in touch with Pan de Peace! next episode Air Date and your others favorite TV Shows. Add the shows you like to a "Watchlist" and let the site take it from there.